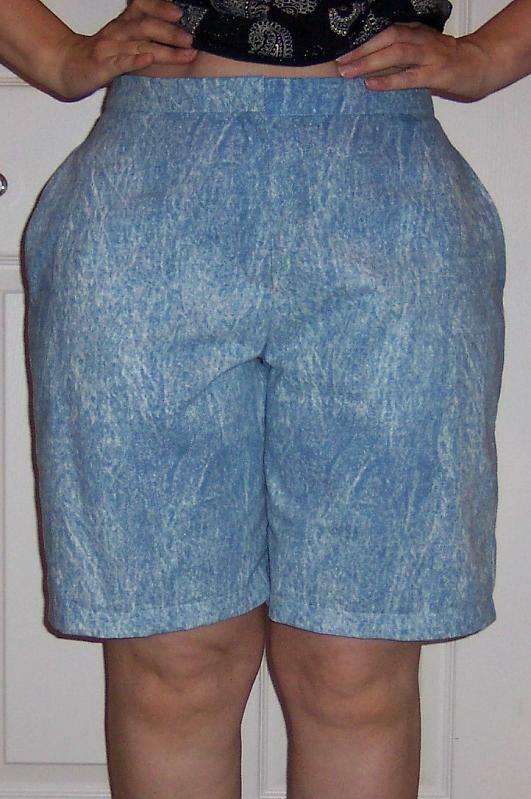 My first attempt at making a pair of shorts from this pattern ended with a pair of shorts I can wear around the house, but with some fitting issues. I made some adjustments and tried a second time, but with the longer version, View D.
These seem to fit better, but still aren't quite right. 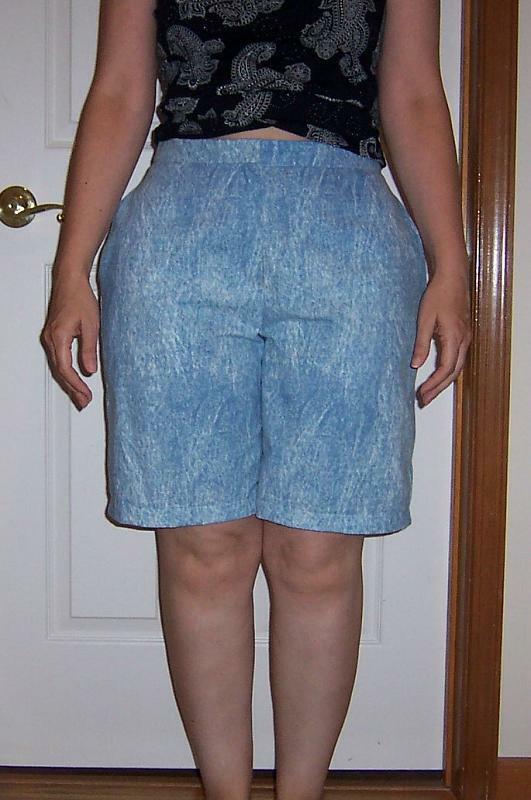 I'm thinking I shortened the crotch length a little too much. 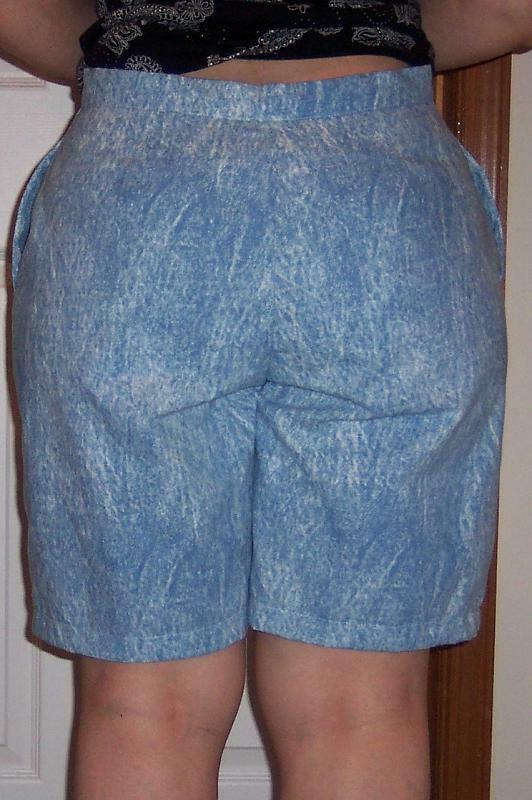 And maybe I should have added a little more ease to the inseam. 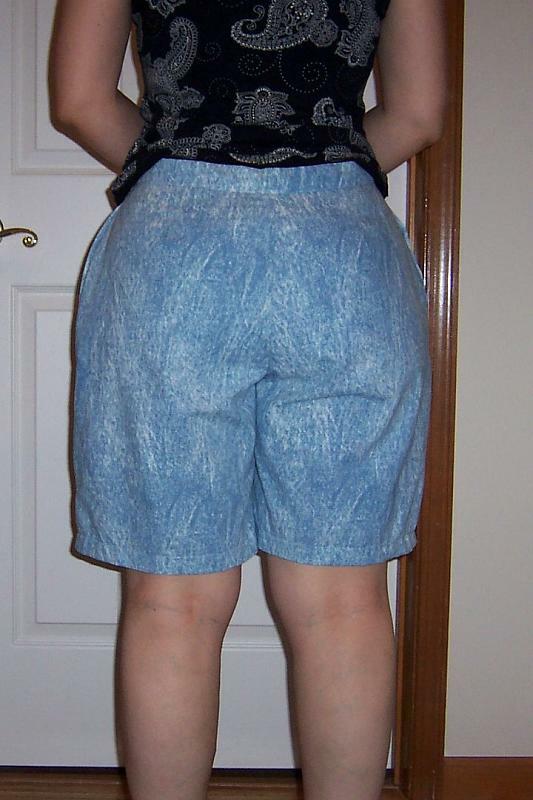 The hem looks longer at the side seams. The waist fits just right, and the zipper went in much better this time. But the side seam pockets seem to be making my hips look even bigger. So - these are another pair I feel okay wearing around the house. I'm going to give it one more try with a few more adjustments before UPDATED September: I've decided that this style just doesn't work for me, so I'll be moving on to a different pattern that is slightly different in style, with front slash pockets and a more contoured waist, sometime in the future.